MINNEAPOLIS, MN – Today’s financial news in the United States has seen better days – stock markets closing at record lows, housing values dropping, education costs on the rise. However, contrary to these and other financial trends, the US dollar has gained in value for travelers interested in international travel. 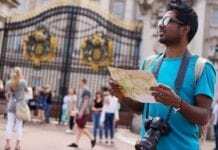 “Exchange rates in just one year have allowed US travelers to take advantage of international travel like they’ve never been able to before,” said Beal. His team has witnessed various examples when comparing January 1, 2008 to January 1, 2009. Currency exchange rates have tipped back in favor of the US in several markets, with the dollar gaining 20-30 percent in buying power. Another benefit to travelers – many of the world’s most renowned luxury travel brands are offering rare incentives. Companies such as Silversea Cruises, Regent Seven Seas Cruise Line, Lindblad Expeditions, and Wilderness Safaris are luring travelers with appealing offers. “These types of incentives are rarely seen. You just need to know where to look,” added Beal. Finally, the dramatic drop in oil prices has positively impacted buying power. Over the past few years, airlines were charging passengers significant fuel surcharges. Today, many surcharges have been rolled back, reducing the cost of international flights. In some cases, it could save travelers upwards of US$400.